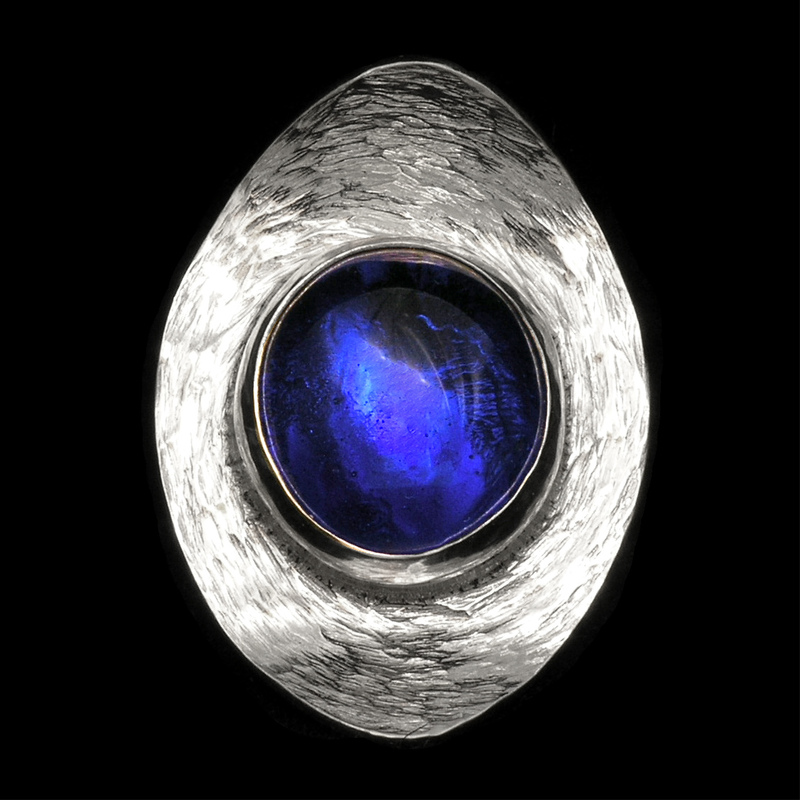 If you love intense cobalt blue, you should have this ring. 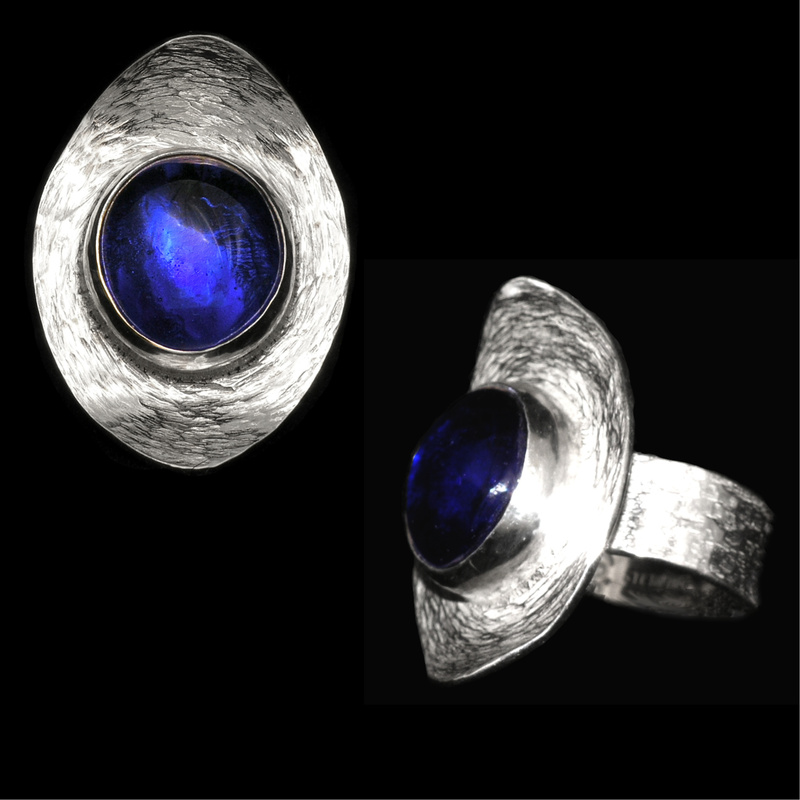 Peter fell in love with our friend’s glass cabochon and set it in richly-textured sterling silver. Looks fabulous! One of a kind.